coasters at Sewjourn, originally uploaded by sewjourn01. so from my last few posts, you can probably surmise that i need a break. and my buddy jo, with her third baby on the way in june, could obviously use a break before the new bundle arrives. how about you - could you use a break too? jo and i are organising a crafty getaway at sewjourn in april. 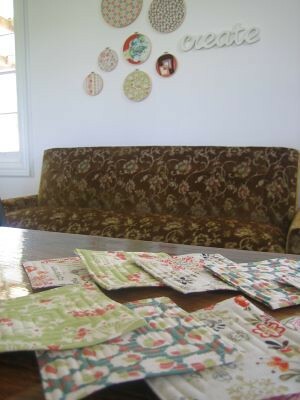 sewjourn is a four bedroom cottage, about an hour from melbourne, with a separate studio set up specifically for sewing and crafts. it will be a great weekend to get some long awaited projects done, hang with some fellow crafty ladies, possibly escape for a massage, and definitely enjoy some yummy food. i'm also planning to scout out some country op shops in the area for a saturday morning browse and looking forward to enjoying hours perusing jo's massive collection of japanese craft books. we're looking for a couple more people to join in the fun so if you'd like to take part, send me an email for the dates and all the details. i am wishing sewjourn was in japan. 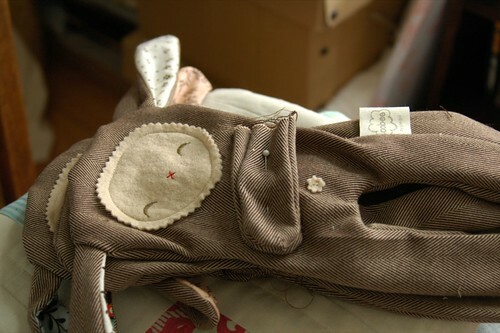 Darn it all - busy having a baby in April :) I have a hankering to get to Sewjourn someday. I hope you have a lovely escape. That sounds really lovely although I think I'd look rather lazy in terms of productivity compared to what you can achieve in one day! Fantastic venue - let me know what dates you set on. Hey, what a good way to go about it - maybe I might need to sign up myself!!! Omigosh that place sounds amazing!! Why aren't there more places like that in the world? I'm sure you'll have so much fun! Sewjourn sounds like a little piece of crafty heaven! Have fun! Oh you will LOVE Sewjourn!